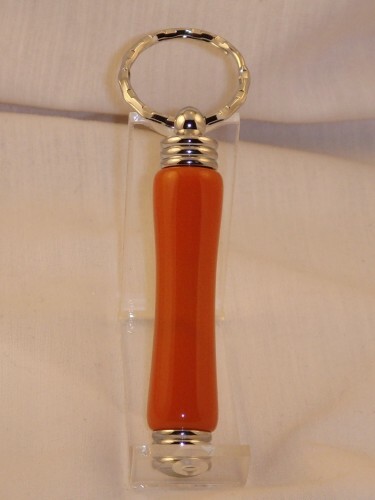 This chrome finished key chain is just large enough to hold a tightly rolled bill, so you can always have a $20 on you. It is also sized right for a few toothpicks, so you can remain presentable when eating on the go. Some have been purchased to hold sewinng needles as well. Dressed in Sweet Potato.